Looking for estate watches, vintage watches and antique watches? 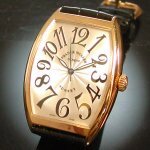 See our: estate watches, vintage watches and antique watches. Thank you for visiting our site! We think you came to the right place because we are specialized in antique jewelry and we can count some nice examples of estate watches, vintage watches and antique watches to our collection. Most of our estate watches, vintage watches and antique watches are of French or Belgian origin. We strive to offer you only those estate watches, vintage watches and antique watches that will pass our quality tests. We have in-house antique jewelry experts specialized in various disciplines such as diamond experts, gemmologists, antique jewelry restorers and antique jewelry appraisers. We believe that this site shows some of the dedication our team has to quality control and service. Offering you good quality and wearable estate watches, vintage watches and antique watches at interesting prices is what we strive for. Read the explanation on various watch- and jewelry related subjects in our glossary. Welcome to Adin, the source for your estate watches, vintage watches and antique watches!